Through the Looking Glass - Lovely Etc. Like many of my projects, this redo did not turn out the way I originally imagined – but I think it still turned out pretty awesome. 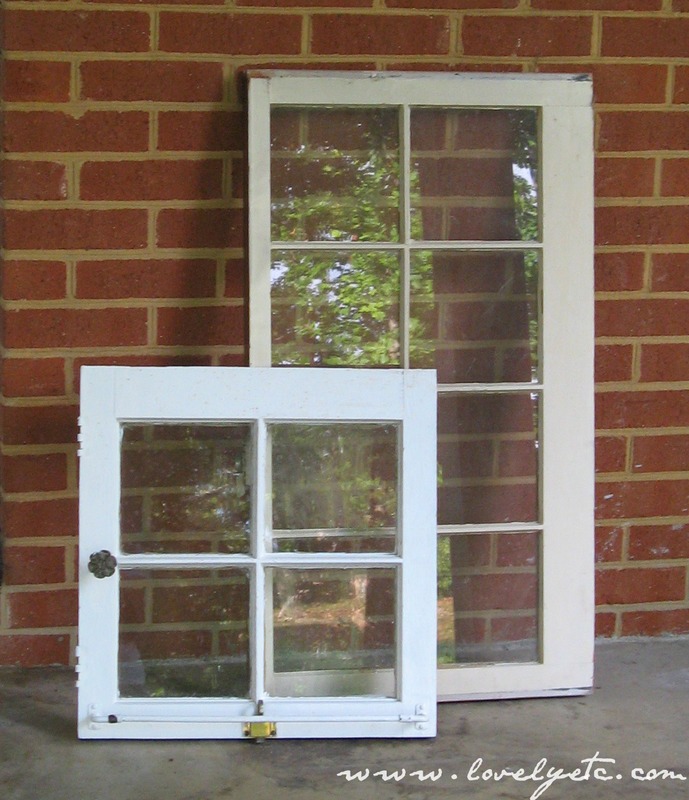 I started with an old window that I picked up at a yard sale a few weeks ago – the larger one in this pic. I have been wanting to try out Looking Glass Spray Paint for awhile now and this was the perfect opportunity. Looking Glass spray paint basically turns clear glass into a mirror. (This is pretty expensive for spray paint – but I picked mine up at Michaels with a 50% off coupon so it really wasn’t too bad). I started by spraying a fresh coat of white paint on the wood window frame. I considered trying to get fancy and make the mirror finsh look antiquey but decided that would be a bit advanced for my first time. So I quickly cleaned the window and then sprayed several light coats of the Looking Glass spray paint on the reverse side. I eagerly waited for the paint to dry (exciting I know) and then flipped it over to get a look. It was not exactly what I expected. The finish was definitely reflective but it was also streaky and had random dark spots on it. I was disappointed for a quick second until I realized I had ended up with my antique finish after all. I am still not exactly sure what went wrong but I am thinking I must not have allowed enough drying time between cleaning the window and painting it. In any case, I decided to embrace the imperfections so I roughed up the wood frame a bit to match the antiquey mirror. I wanted to add some hardware for hanging things along the bottom of the mirror so I grabbed some vintage furniture knobs from my stash. They were cute but in need of a bit of pizazz. I added a wash of white paint and then a wash of teal paint. For each wash, I mixed equal parts paint and water and then brushed it on. Then I wiped all of the paint off the raised portions of the hardware while it was still wet with a clean rag. Finally, I dry-brushed on some black paint. Sound a little complicated but it truly took about five minutes. I really like the way they turned out – a nice subtle pop of color. Even though this redo wasn’t what I originally intended, I kind of love it anyway. Perfect for hanging scarves and bags in an entryway. 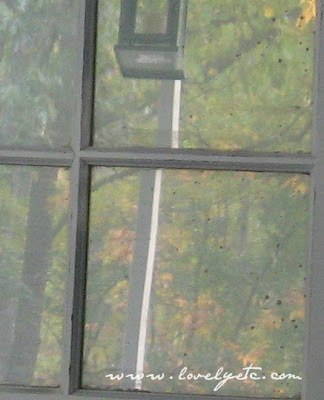 I think my other vintage window just might get a very similar treatment. It looks great! Love how the knobs turned out. Carrie, I really like it! I would be delighted to hang that up in my home – great job! This is so cool! I’ve always wanted to do this, and I never heard about that spray paint! Thanks for sharing….also if you interested I’m giving away a copy of a gift giving recipes and wrapping it up book called Gourmet Gifts, its pretty awesome! Love how it turned out! I’ve worked with that pain recently. You have to do several REALLY light coats, but even then, the finish might be uniform, but it isn’t “new mirror.” It’s far more satin – “old mirror” which is lovely in its own right as long as that’s what you want to achieve. Oops – I mean “paint”. But “pain” may have been Freudian. This is actually really cool. I was wondering if that mirror paint really worked… looks like it doesn’t look like a regular mirror, but an antiqued version of one. Very pretty. 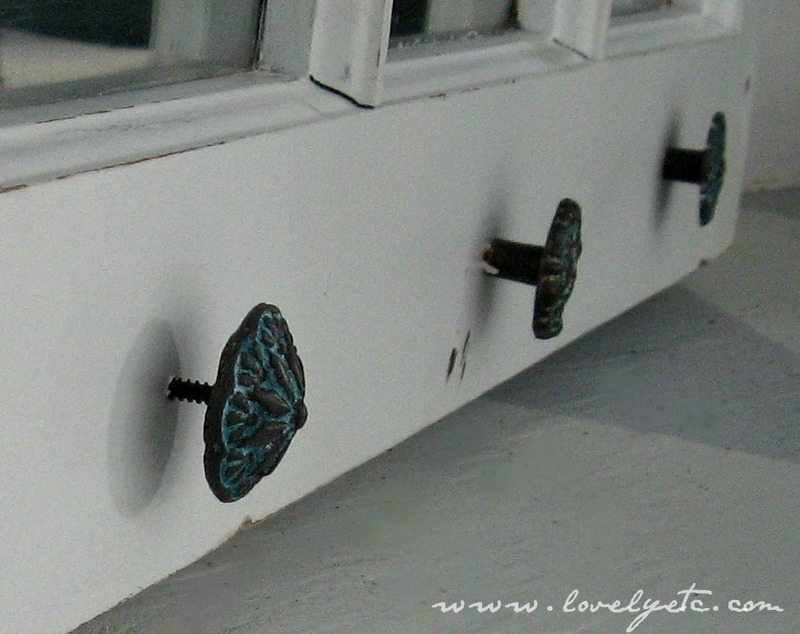 I love what you did with the knobs too! I love it all!!! You have a great attitude lady! I admire you just going with the flow. Now I want to try this paint out. I may spray it on with wet cleaner too! Give us an update on if you try it any other way! Sorry this didn’t meet with your original expectations but I love it. I think it has great vintage appeal. 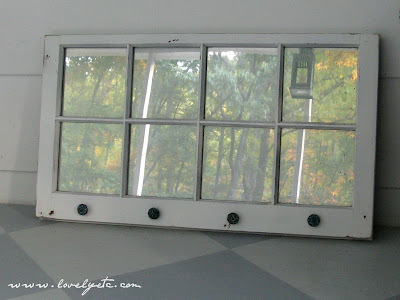 I have some old windows is my garage I would love to try this on. Thanks for the inspiration! Love this too! 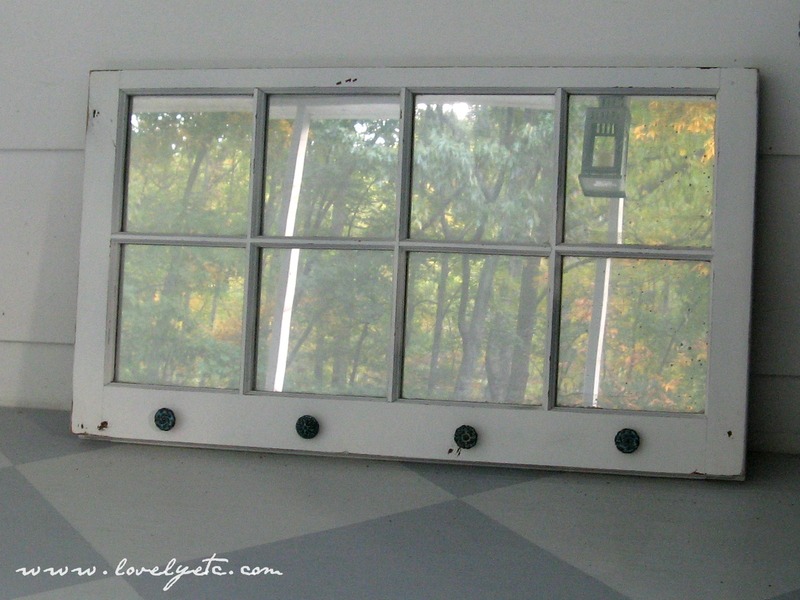 I have two large old french door doors and this would be a great project to do with them. What did the spray paint do to the wood on the back? Did you cover that and only spray the glass? Looks great! I’ll have to check out that spray. 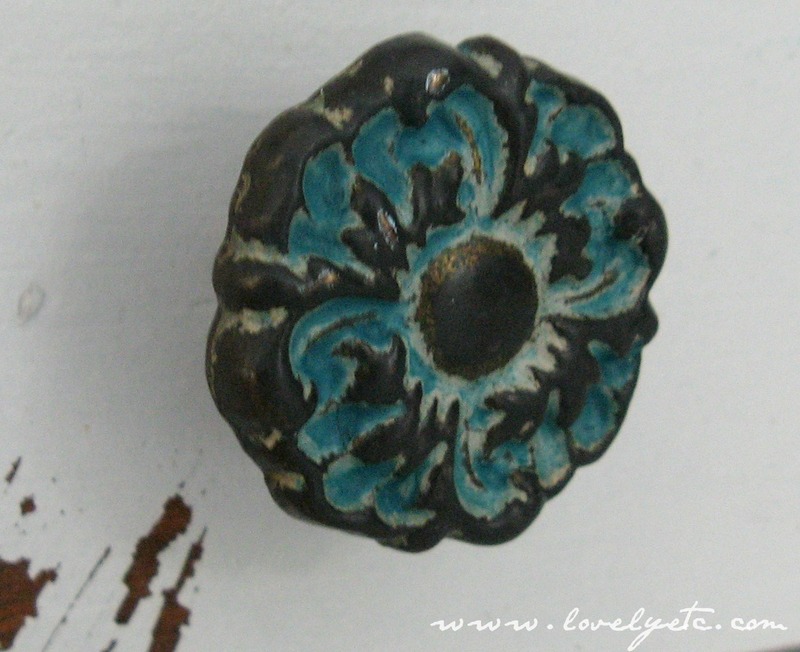 …and I LOVE the washed knobs. Perfect pop of color! Oh, I definitely think it turned out beautifully! I’ve used that spray paint before, and you really never can get a perfect result. But perfection is overrated anyway, right? I mean, just look at your mirror! It’s beautiful! I love the way the window turned out! I have wanted to try something like this – now I’m inspired! Nicely done, and I just LOVE those vintage knobs! So cool! I’ve seen that paint before but haven’t tried it yet! I think this turned out great! You did well to just go with it and distress the whole thing. I love the finish on the knobs too!